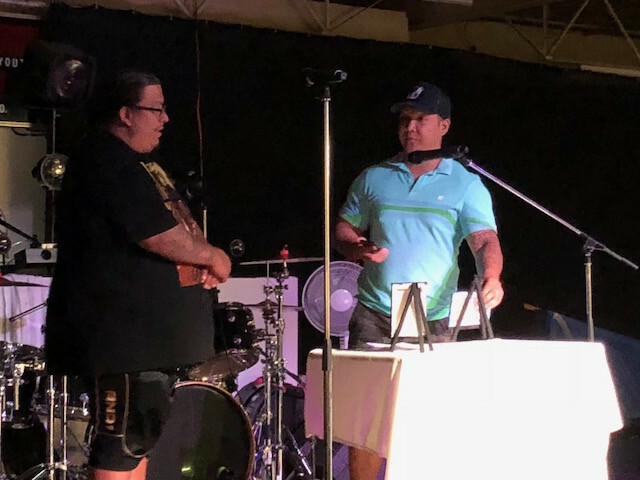 WINNIPEG - Three champions of the north end, including a mayoral candidate, were recognized with awards in a sold-out fundraising event by the Indian Metis Friendship Centre Saturday night. The honourees included Daryll Sanderson, who is involved with fundraising with the IMFC; Justin Rivera, Executive Director of Young Thunderbirds; and Jenny Motkaluk, who helped raise funds for the homeless intake initiative this winter at the Dufferin Street centre. Caring for those in need is "One of the fundamentals of the community", said Motkaluk, who was greeted enthusiastically by the audience. She praised IMFC for taking in "45 people a day, by opening these doors to their neighbors", in the dead of winter. The 90 day program had a cost of $18,000 to the struggling inner-city facility, with no financial contribution from the city. A business development consultant, Motkaluk found city businesses willing to help underwrite the innovative program, which eliminated many of the intake barriers that faced homeless people at other shelters. Mayor Brian Bowman had been asked to see the homeless program in action and meet with IMFC officials, but did not respond to their request. Rivera, who also operates specialized foster homes, emphasized the importance of the centre continuing in operation to "keep our kids busy with healthy activities. We have to concentrate on our youth and kids." Sanderson echoed the message of Rivera about the children and families who rely on the centre, and concluded "this is a very humbling reward." 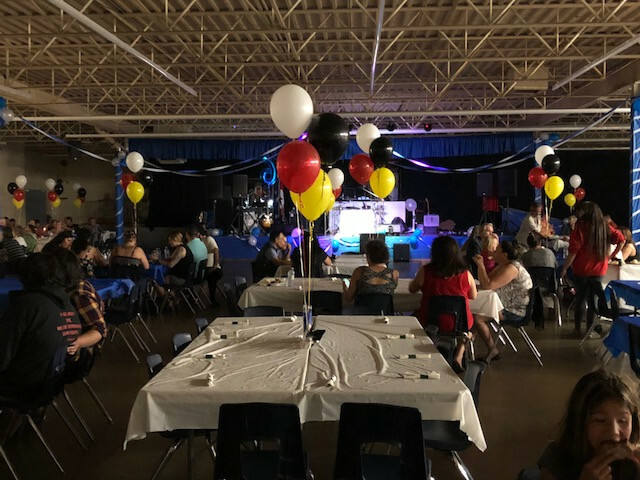 Jon Ljungberg ably hosted the evening with entertainment provided by Ojibway Elvis (Gerry Barrett) and the Vegas Thunder Band, with proceeds earmarked for support of IMFC youth programming.